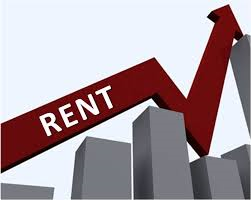 Inventory shortages are also having an impact upon the New Jersey rental market. Rental apartment demand continues to be robust with statewide occupancy rates staying near the top of the the US rental market. New Jersey’s central region claims the lowest vacancy rate in the state at 2.5%. Vacancy rates for the Philadelphia/Southern NJ region stand at 3.9%. Vacancy rates are higher in Northern NJ, coming in at 4.0% due to massive construction efforts being undertaken to create new housing. On a comparative basis, nationwide, the average vacancy rate is 4.5%, which is reflective of the overall inventory shortage. The inventory shortage as well as the low vacancy rates are also having a ripple effect, with 35% of New Jersey households reporting children living at home. The rental market is also seeing increased demand for summer vacation rentals for summer 2018. Many summer rentals have already been snapped up in the more traditional summer destination towns. Traditionally, Atlantic and Cape May counties are in high demand, based upon tourism dollars spent, hotels and homes rented, and other spending indicators. According to some reports, the average lease percentage is higher in 2018, and the length of stay getting longer this year. More two-week leases are being signed, most likely reflecting a stronger economy.